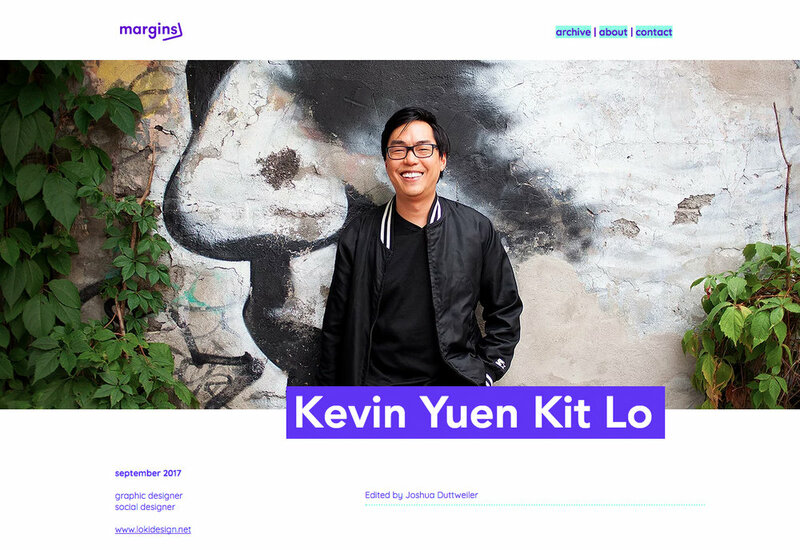 A few months back, I discovered the Margins website which features monthly interviews with amazing designers and visual artists, aiming to showcase the true "diversity" of the field. I'm honoured to be included amongst their September features alongside Shanee Benjamin, Aundre Larrow, and Cory Martin. — Check out the interview here, and give them a follow!